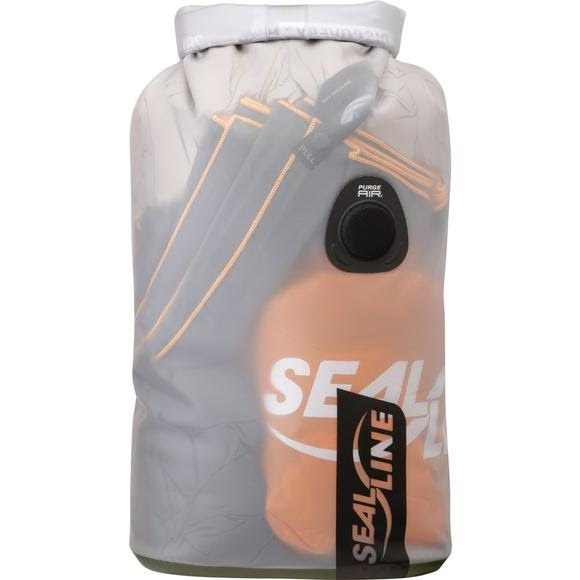 Save time and energy by swiftly identifying contents in our waterproof Discovery View dry bag. The PurgeAir™ valve quickly vents trapped air for easy closing and packing, while the oval bottom helps keep the bag from rolling around. Measurements 5" x 8.5" x 14.5"